Lee-Berkeley Shaw is the Director of Development at CDT, overseeing the fundraising efforts, partnership development, and donor communication efforts for the organization. Shaw also directs the CDT Annual Dinner, affectionately known as Tech Prom. 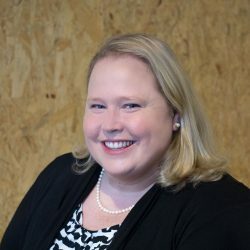 She has nearly 20 years experience in nonprofit development and fundraising, and brings a background of federal grant management, corporate fundraising, and event planning to this role. Prior to joining CDT, Shaw was the Director of Corporate Relations at the Newseum in Washington, DC, where she served as the primary major gift officer for corporate accounts, managing a portfolio of over $15 million. She previously directed high-net-wealth events for the greater DC and Baltimore markets at the American Cancer Society and at the Woodrow Wilson Center for International Scholars. She also spent 13 years in development at Rebuilding Together, a national housing nonprofit, serving as Director of the Safe and Healthy Homes Initiative at the national office and Director of Development at the Montgomery County, MD location. Shaw holds a Bachelors of Arts in Government from the College of William and Mary and is an active member of the Association of Fundraising Professionals (AFP). She resides in Washington DC and spends her free time exploring the nation’s capital, traveling, and looking for her next U2 concert or SCUBA diving trip.